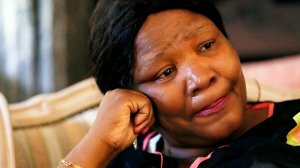 Former African National Congress (ANC) parliamentarian Vytjie Mentor on Tuesday expressed concern about her role as a witness at the Zondo commission into state capture, saying she felt that she had only been presented with information by legal teams cross-examining her that does not corroborate her version of events. "For the better part of me being on the witness stand I have felt that I have had to deal, in vain, with issues that are not corroborating, in any way, my version before you, I have felt that all the time. "I have been made to feel like my role as a witness is to explain and deal with whatever that does not corroborate anything. Whatever that has corroborated has not been put to me," she said to chair of the commission Deputy Chief Justice Raymond Zondo. This grievance was expressed shortly after Mentor's lawyer, Anthony Gotz, objected to the manner in which advocate Mahlape Sello, SC, put questions to the witness regarding the statement made by former ANC MP Dennis Bloem on the infamous "Saxonworld offer". Bloem was one of the people with whom Mentor claims she informally discussed the offer of a ministerial position by the Guptas at their Saxonwold home in 2010. In his statement Bloem confirms that an informal discussion did take place, but he states that it occurred "around August, 2010" and not in September/October 2010 as Mentor earlier suggested. Gotz expressed concern that Sello was only highlighting parts of the statement that did not corroborate with Mentor's version of events while ignoring the majority of the statement which is in line with the witness' testimony. "I take objection to the manner in which Bloem's statement has been put forward as it does not highlight parts where he corroborates Mentor's version of events," he said. "Mr Bloem's statement is in large part hearsay. It is what Mentor told him. "The intention of this exercise was not to discredit the witness but to give Mentor an opportunity to deal with anything that Bloem has said that is not in line with her version of events," Sello explained. Mentor further placed it on record that a large part of Bloem's statement correctly captures what she told him in 2010. "The few things that may not be in line with my version of events, I do not hold those things against him," she added. Zondo assured Mentor that her role as a witness was appreciated and the questions were not designed to show favour to one party over the other. "It may be that the legal team is concerned with what information may be against you. "There is no intention by the legal team to treat you unfairly, they are making sure that they gather enough evidence so that I make a finding," he further explained. The inquiry continues on Tuesday afternoon with advocate Mandla Mtolo's cross-examination of Mentor.